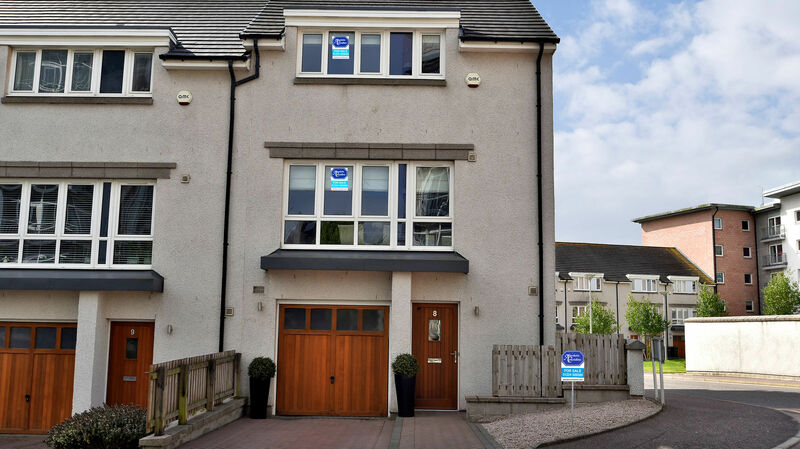 A townhouse with a modern twist can be found at 8 Rubislaw Drive in Aberdeen. With four bedrooms, two living rooms and two bathrooms, this executive end-of-terrace home provides plenty of space for a city family. 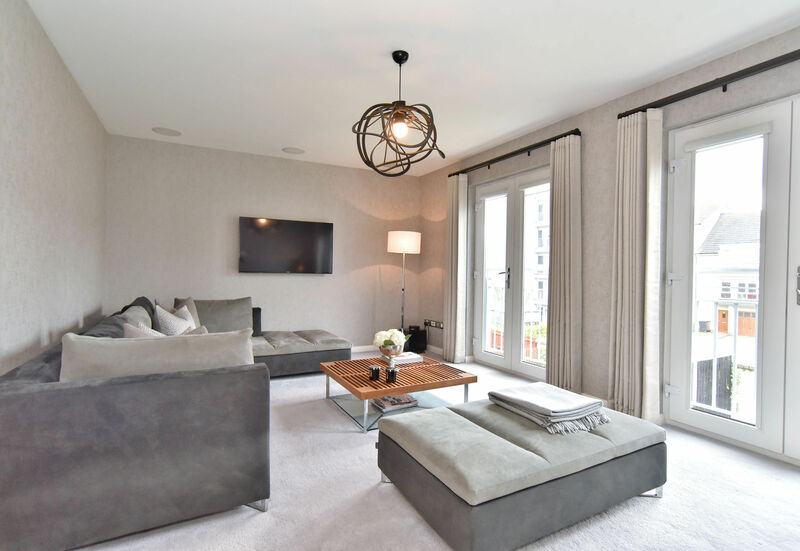 Located in the Kepplestone Development on Queens Road, it is within reach of the city’s shops, theatres and nightlife, while still enjoying the environs of a quiet, tree-lined street. Spread over three floors, the home is stylish and modern and has been completed to a high standard. On the ground floor is the sitting room which can also double as a fourth bedroom. Patio doors lead out onto the garden, letting plenty of light into the room. Also on this floor is the utility room, cloakroom and two storage cupboards, so every practical need has been catered for, as well as access to the integral single garage. Up on the first floor, the lounge has views over the back of the house from the faux balconies. 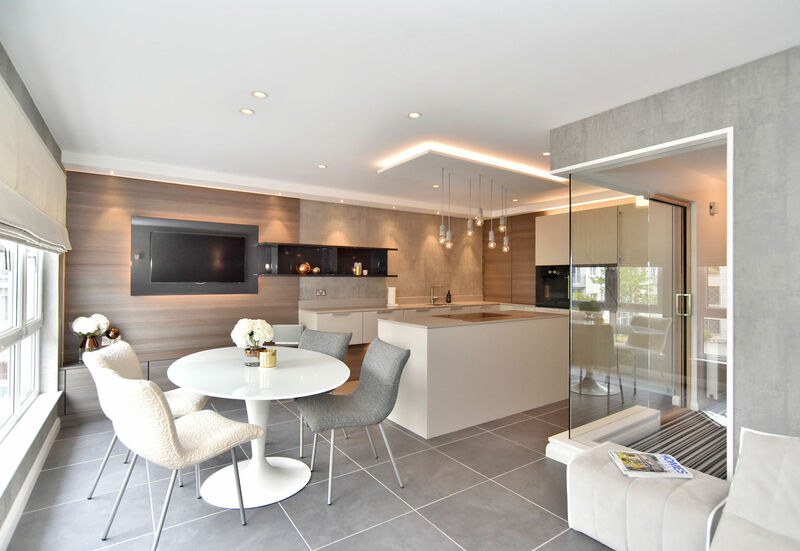 An open-plan dining room and luxury Poggenpohl kitchen share the rest of the floor with a second cloakroom. Floor three is home of the master bedroom. It has an en suite so no one needs to argue over shower time in the morning. Two more double bedrooms and a family bathroom are large and welcoming. For playtime and muddy feet or relaxing in the sun with a glass of wine, there is the enclosed garden at the back with a patio area. There is plenty of parking space at the front of the house where the driveway leads to the garage. Commuting is easy, with the main Aberdeen ring road within a short drive. The house is within walking distance of several schools and there are playing fields and parks nearby where you can enjoy a leisurely stroll.